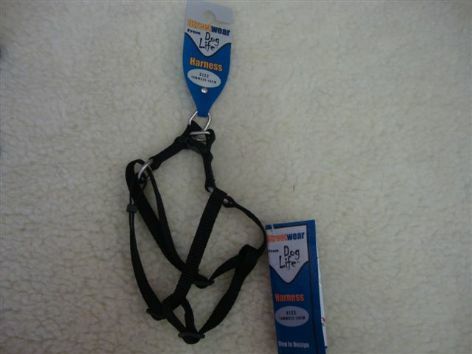 Durable Nylon Webbing Black Dog Harness. Stylish and affordable dog harness. Suitable for toy poodles, yorkie and all small breeds. Max Girth 40cms.